May is officially here, which means that this year is officially one third over with. Yes, I said it, one third over with. Well it means that Cinco De Mayo is right around the corner as well! In my world it also means that our oldest child will officially (yes I've used the word officially 3 times now) no longer be a middle school student. I can not believe that in a mere few weeks we will (fighting against my fingers not to use the word officially) have ourselves a high school student! I gave tonight's cocktail 2 shots out of 5. I wasn't sure what to think when I found this cocktail recipe on about.com, I mean 2 ounces of alcohol with a half an ounce of juice? My rating was what I thought it might be, but not for the reason I had thought. I thought these two alcohols together would make me cringe and make horrible faces. Mixing these two together kind of removes the flavor aspect of this cocktail. It is the weirdest thing. This cocktail had a dull flavor and leaves not the best taste in my mouth. If you are up for trying this cocktail for Cinco De Mayo, I hope you like it a lot more then I do. 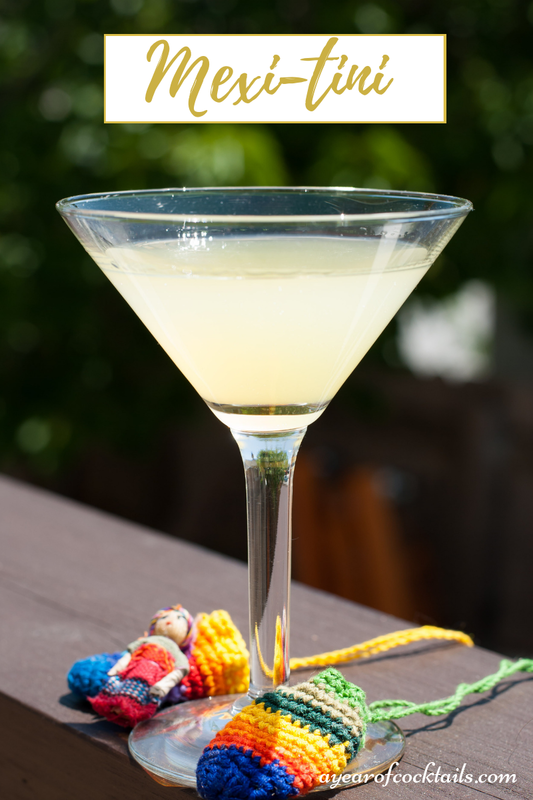 If you are not up for trying it, you can always choose one of my many margaritas that I have posted on my Classic Margarita post. In a cocktail shaker, add crushed ice and all of the ingredients above. Let sit for 5 seconds and then shake and strain your cocktail into your martini glass. Happy Cinco De Mayo en dos dias!